This post is sponsored by Manitoba Harvest through my affiliation with Fit Approach. 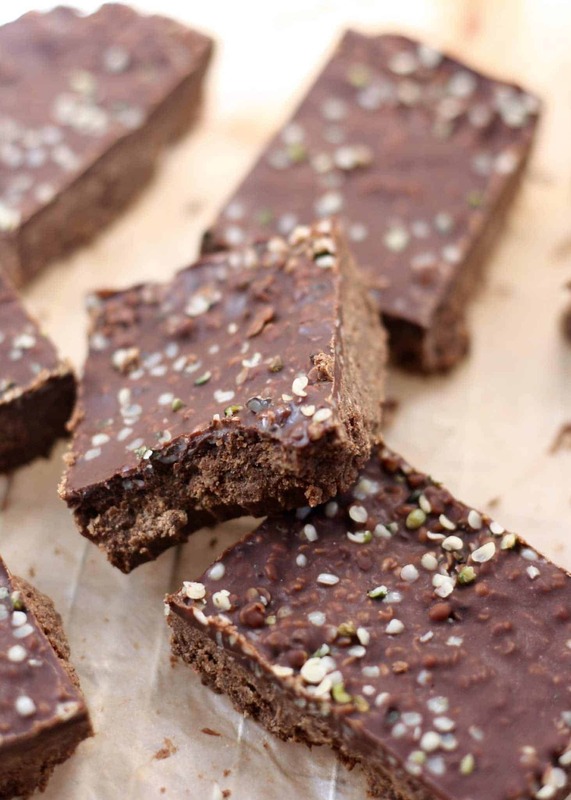 We’re celebrating some hemp heart love with these Chocolate Chai Protein Bars. Chocolate-y, chai-like, vegan-friendly, no-bake goodness. 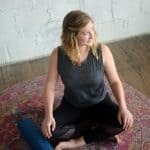 Today I have something AWESOME to share with you: HEMP HEARTS. If you’ve never heard of hemp hearts, they are raw shelled hemp seeds that pack some serious nutrition. They contain omega-6 fatty acids, magnesium, and a whopping 10 grams of protein per 30 grams. They’re also a COMPLETE PROTEIN making them a great source of protein for vegans working on their fitness. 😉 And you can put them on pretty much anything. Toss them on salads, add them to a casserole dish upon serving, top your yogurt or oats with them, put in cookies, on…. ice cream? I mean really, why not? 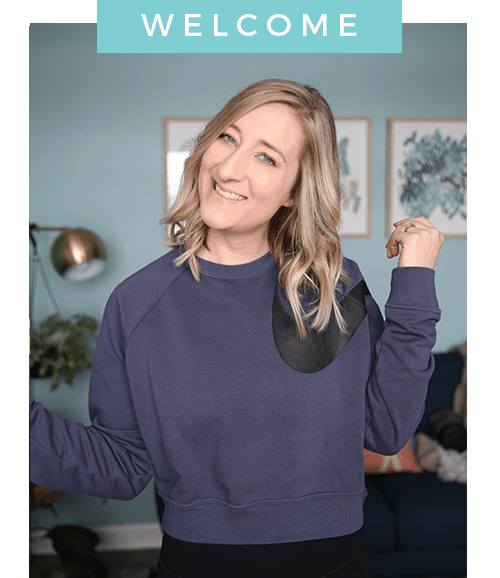 When I saw an opportunity to team up with Manitoba Harvest through Fit Approach and the Sweat Pink Community, I was so excited to share these little gems with you all. You know what else is great? 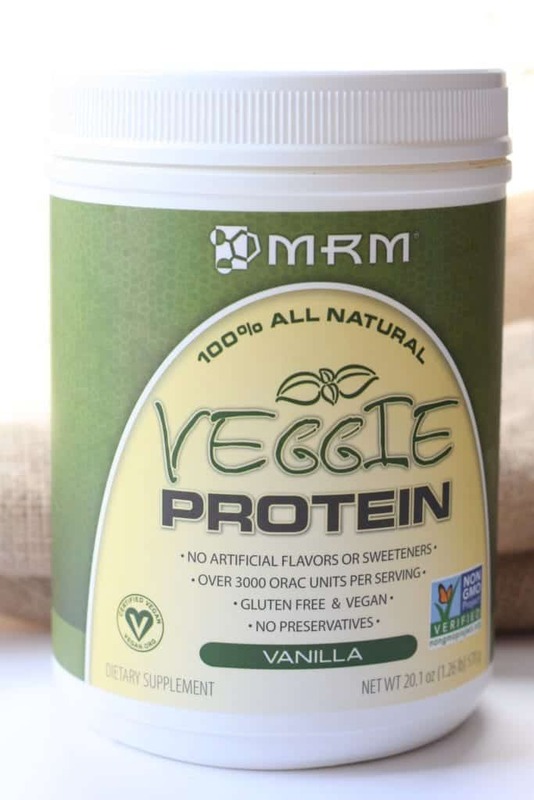 This veggie protein powder from MRM. It is the PERFECT base for these bars. I’ve used a few different kinds of vegan protein powders before for no-bake bars (like brown rice protein, for example), and this is a great blend and flavor. It isn’t TOO overpowering, and I don’t get that “chalky” feeling that you can sometimes get from brown rice if you’re ratios are off. When looking for protein powders I always look for brands without artificial flavors, coloring, or sweeteners. And MRM doesn’t contain any of that nonsense. I’ve been using MRM All Natural Whey consistently for the past year. 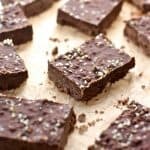 So when I was offered the chance to try their new veggie protein, I was super excited, and knew it was time for a new no-bake protein bar recipe. So naturally (as one could have guessed by now…) hemp hearts and chocolate happened. 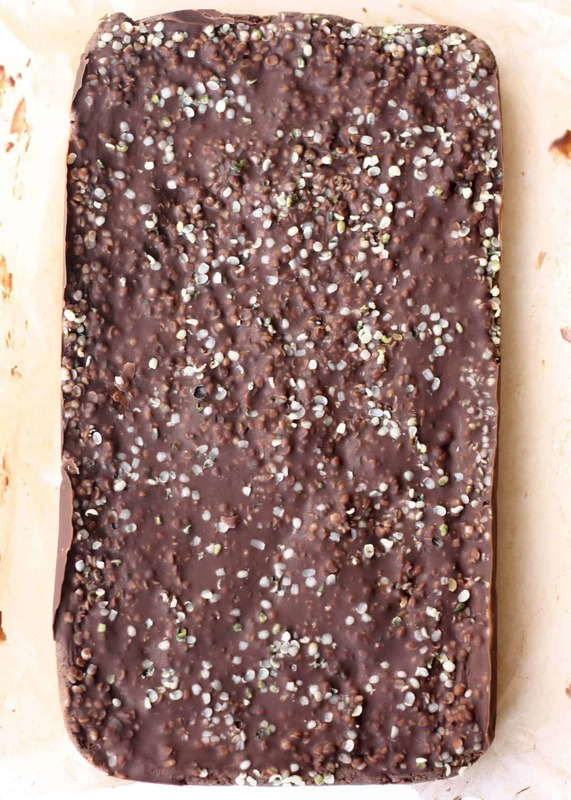 I included some step-by-step photos because I know that in the past when I’ve made other no-bake protein bar recipes using plant-based protein powders, I sometimes start to get a little unsure of what the process is actually supposed to look like. That, and whether or not my textures are accurate, or how to get from point A to point B. And being a little OCD and the perfectionist I am, it can the process of making anything from scratch not-so-fun. I hope sharing these pictures with you will help and you’ll feel 100% confident when making these bars. 🙂 So here we go! This is what your mix should roughly look like after combining all of the ingredients. You’ll see in the recipe page I noted that your mixture should be slightly crumbly. So don’t worry if you start to think the mixture isn’t coming together. Use your hands and get in there! And depending on what type of protein powder you choose, you may need to add one tablespoon of milk at a time to get the right consistency. You dough mixture should be thick, slightly moist, but kind of crumbly. You then add your melted chocolate and sprinkle with hemp hearts. So excited about these Chocolate Chai Protein Bars! I actually made them a couple times to get them just right. I’ve been snacking on the “1st round” last week, and am saving these guys in the freezer 😉 I like to cut my bars into 10, then individually wrap them for easy lunch packing or just quick on-the-go snacking. 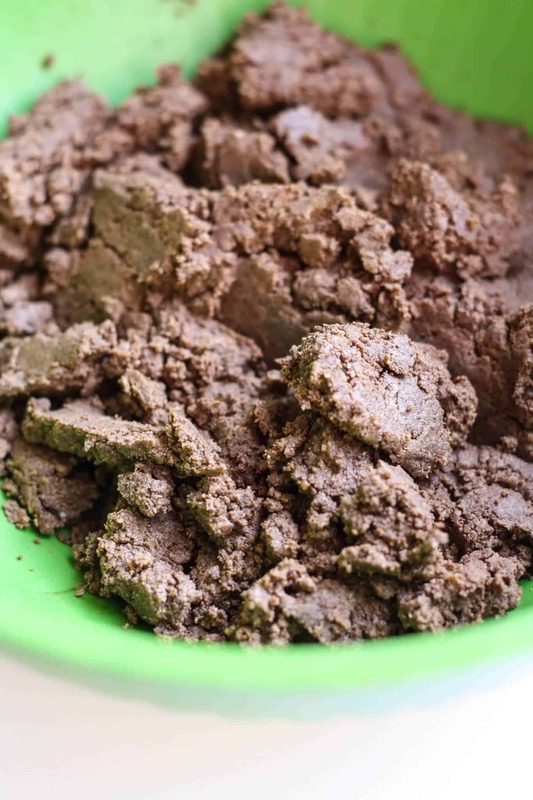 In a large bowl, combine protein powder, almond meal, coconut flour, cacao powder, and spices. Stir until well mixed and set aside. In a medium bowl, add sunflower butter, honey, and melted coconut oil and stir until well combined. Add sunflower butter mixture to large bowl of dry ingredients, and gently stir. Mix will be dry and take a while to come together. Add one tablespoon of milk at a time, until mixture forms into crumbled dough texture (see picture in post). Use your hands to make sure everything is well mixed at the end. In a small microwave safe bowl, melt chocolate chips and coconut oil together, 10-30 seconds, in increments, until chocolate is completely melted. 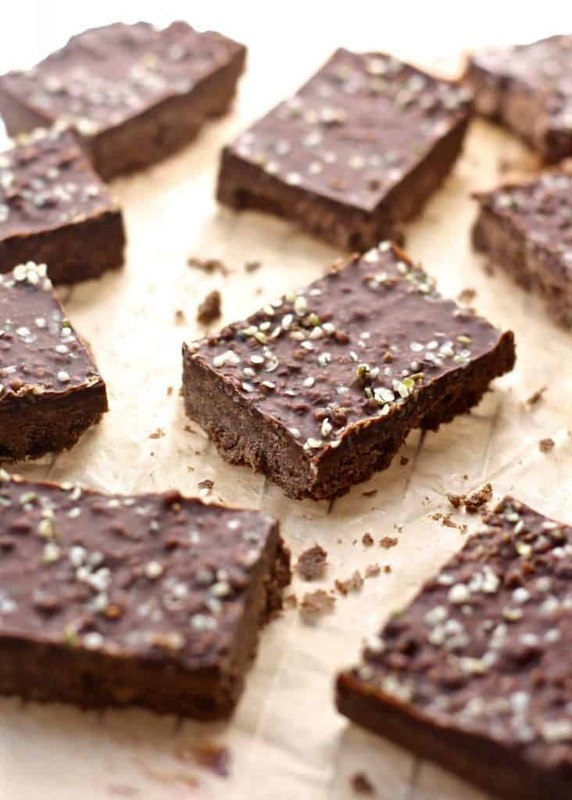 Pour melted chocolate over bars and sprinkle with hemp hearts. Place bars in freezer for 30 minutes, or refrigerator for 1 hour to set. 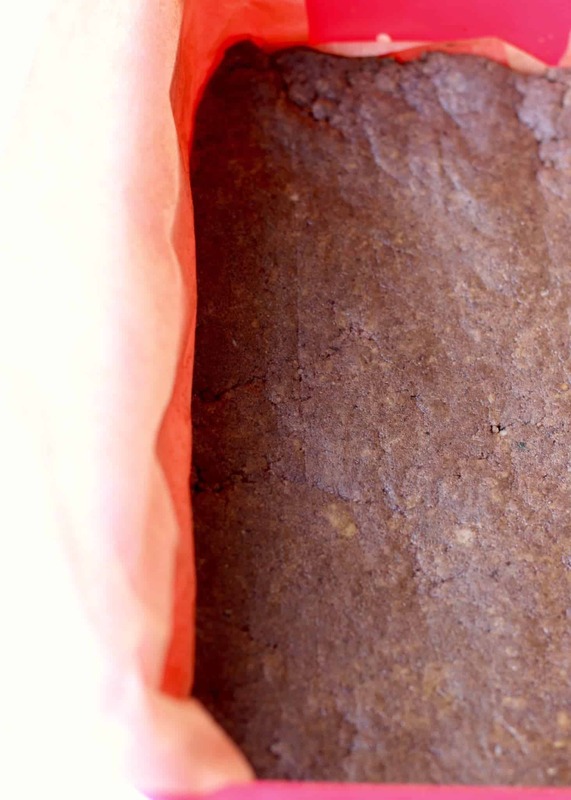 Lift parchment paper from pan and cut into 10 bars. I like to individually wrap bars and store in fridge and/or freezer for a quick snack or easy lunch packing. *I do NOT recommend using whey or casein protein powder with these ratios. The bars will most likely end up sticky and gooey, and will not set properly. *Depending on what vegan protein powder you use, you may need to adjust the liquid accordingly. Start with one tablespoon of milk (or water) at a time until dough is thick, slightly moist, and crumbly. You should be able to press down into the pan without it sticking to your hands too much. *Use an all natural nut butter, minimally processed. I used Once Again, which needed to be stirred. I do not recommend using “no-stir” without changing some ratios. You may need to add more liquid. *Feel free to leave the chai spices out if you don’t care for chai flavors. DISCLAIMER: Manitoba Harvest provided me with hemp hearts in exchange for an honest review and gave me the option to share with friends by hosting a giveaway. MRM provided me with protein powder in exchange for an honest review of their product. I was not compensated for my time from either company. All opinions expressed here are my own. Wow! These look fantastic! There’s just so much packed in there! there is so much goodness in these bars, from taste to nutrition! YUM! 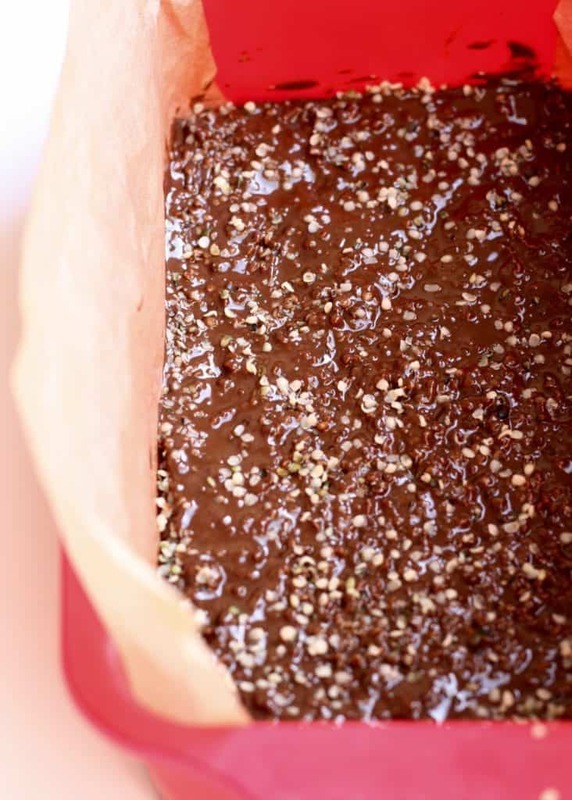 Chocolate, chai, hemp hearts….oh yeah!!! These bars have all my favorite ingredients… they look amazing! Will definitely have to try them! Thanks, Liora 🙂 Let me know if you do! These look great! I’d love to try them out! OOh I am loving the sound of all that cardamom, ginger, nutmeg, cloves and cinnamon combined with chocolate in these bars! AND they are topped with Hemp hearts! AND they are no-bake! Fantastic Recipe! I would use the hemp hearts as a topping on foods like oatmeal. These look so good and the perfect healthy treat! LOVE! Oh hemp milk! I have never tried that either. I want to make these immediately! You post the greatest recipes, Ashley! Keep it up! Oh yes, great idea Marie! They are such a subtle flavor you could really add them to any pasta dish! What a creative and healthy treat!! I love hemp hearts, I often put them on top of my oats or smoothie, but lately I have been sprinkling them on salads. They are seriously the best! I surprisingly haven’t put them on my salads yet though. Next time for sure! Oh spoonful! Good idea 😉 Thanks so much Beverley!! Wow these look delicious! 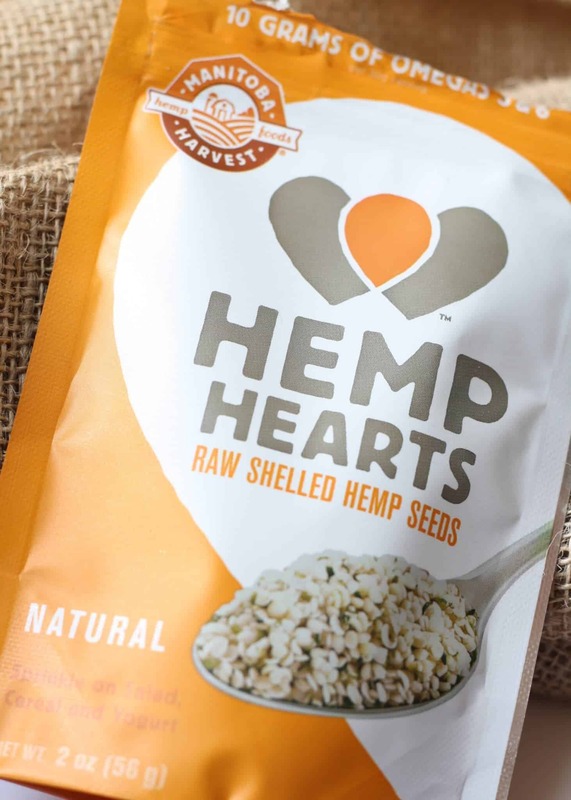 I love Manitoba Harvest’s hemp hearts and I can’t wait to try these! Thank you! Thanks Jessica! I hope you love them! Never used hemp before! Would love to try! I recently tried hemp hearts for my first time and LOVED THEM. 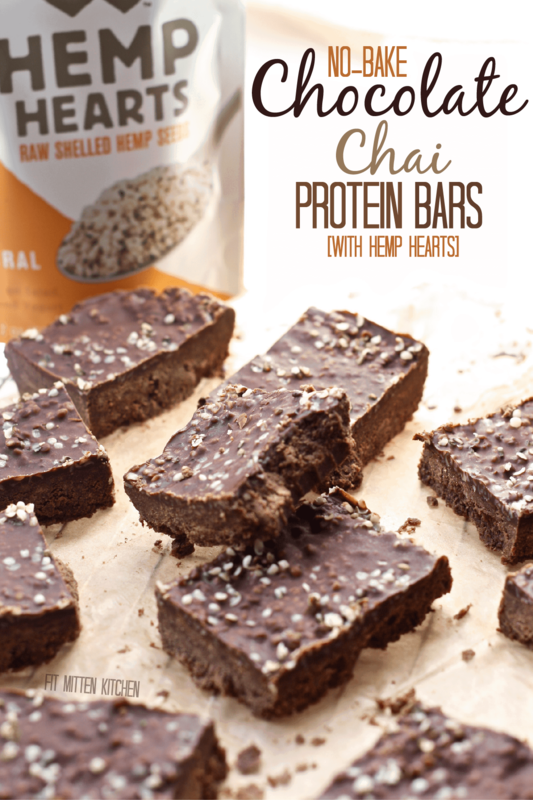 I am thinking these chai protein bars would go SO WELL with the 3 cups of coffee that I need this morning. Perfect fall flavor girlfriend! Coffee and chocolate and chai all the way!! Thanks so much Taylor!! Oh wow! These look bangin’ – I love the step by step especially with protein bars because the consistency can vary so much from recipe to recipe. Thanks so much Georgie. Have a great weekend!! That layer of chocolate on top….oh. My. Muahaha 😉 have a great weekend Jess! These look AMAZING. They have the best texture, and I’m sure the hemp seeds set them over the top. Pinned! Thanks, Pragati! No-bake just makes life so much easier sometimes! !